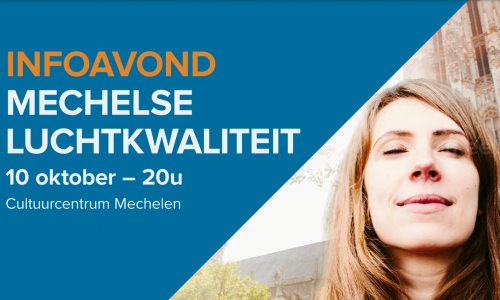 On 10 October 2018, Meet Mee Mechelen organised and presented a public event: “Geen vuiltje aan de lucht? 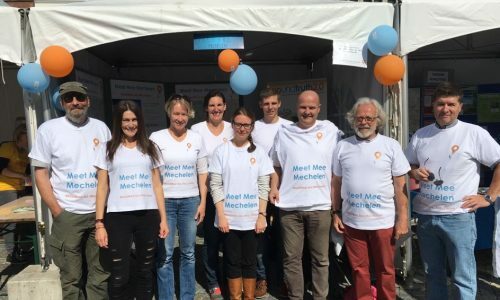 Infoavond Mechelse luchtkwaliteit” : “Clean Air? Info-session Air Quality in Mechelen”. The event, which was attended by 200-250 people, was open to the public and attended by citizens, politicians, and the press. Stijn Vranckx and local volunteer Arne Daneels gave a plenary presentation on behalf of Meet Mee Mechelen, and Filip Meysman presented on behalf of Curieuze Neuzen Vlaanderen. There were also two parallel workshops on ‘Air Quality around schools’ and ‘How to improve the air quality in Mechelen?’. This was followed by an informal gathering with free drinks, a poster session, and an opportunity to debate and ask questions. This event was certainly the most important event of the Meet Mee Mechelen citizen observatory thus far. There was significant interest from all political parties and the press – including articles in all national newspapers with a regional edition (Het Laatste Nieuws, Gazet van Antwerpen, and Het Nieuwsblad). The attention and interest in the project delighted and invigorated the volunteers and boosted the recruitment of new volunteers. The event served to reach people not yet involved in the observatory and convinced that we should do something about air quality in Mechelen.